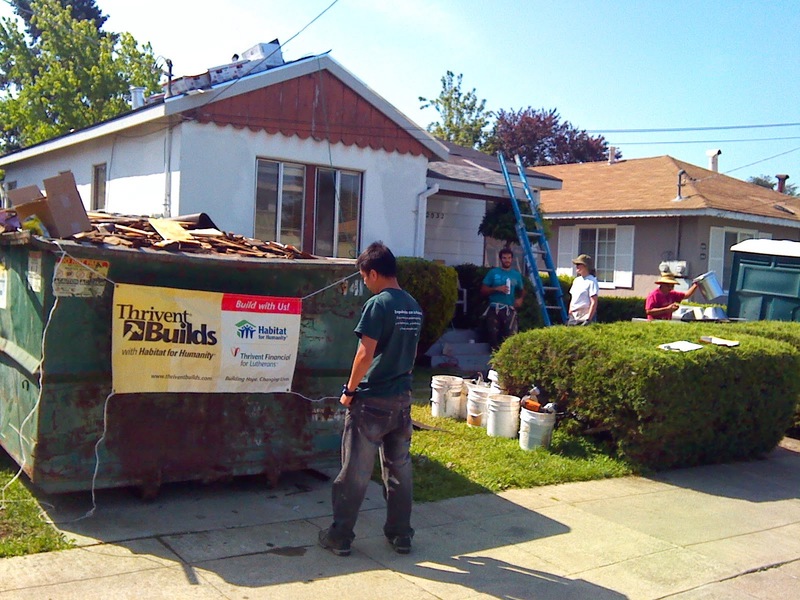 Kand I spent the day working on a home repair with Habitat for Humanity in Arroyo Viejo / Eastmont. While I have a lot more experience and comfort doing such things, K gamely joined me in working on installing a new roof for a lovely (but no nonsense) 80 year-old woman. 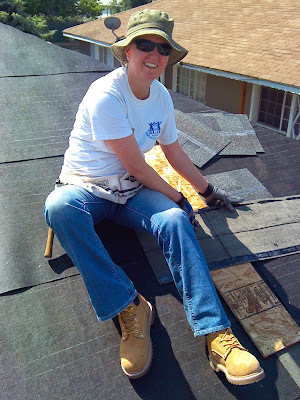 I'd forgotten how much more tiring working on a roof is. Just standing takes more energy than it does on flat ground, and add in the extra heat, the bending and squatting, and I'll definitely be feeling this tomorrow. But it was hella fun, and it was great to be helping someone.